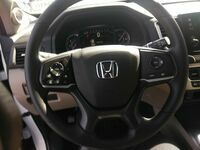 Honda is always looking to improve its models year over year, and that includes the Honda Pilot. 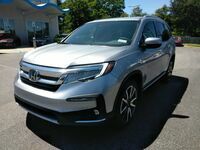 For 2019, the Honda Pilot is seeing a lot of changes, and we can explore many of them with our 2019 Honda Pilot vs 2018 Honda Pilot comparison. For starters, the Honda Pilot has a new look for 2019 with more aggressive styling both in the front and in the rear, but that’s just the beginning of the improvements that were made to the 2019 model. 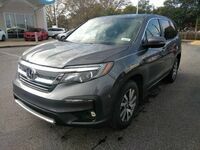 We’ll explore added features and refinements below, but if you would like to see what new Honda Pilot models are available in Tuscaloosa, then click the link below and see all the new Pilot models that Townsend Honda has in stock. We are also available to answer any additional questions that you may have. 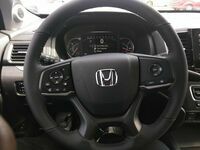 Honda Sensing® comes with a host of safety features for the Honda Pilot. With Honda Sensing® equipped, a Honda Pilot has Collision Mitigation Braking™, Road Departure Mitigation, Forward Collision Warning, Lane Departure Warning, a Lane Keeping Assist System, and Adaptive Cruise Control. For 2019, all of these safety features now come standard on the Pilot. The Pilot now offers 4G LTE with Wi-Fi on the Touring and Elite trims. This system allows for the connection of up to seven compatible devices including smartphones, tablets, laptops, and more. The system comes with a 90-day or 3GB (whichever comes first) free trial so that customers can test it out before setting up a data plan. To give you even more freedom with your smartphone, the Elite trim of the 2019 Pilot now includes a wireless charging station that utilizes Qi and PMA charging standards. The EX, EX-L, and Touring trims can also get this feature as a dealer-installed accessory. For 2019, CabinControl™ is an all-new feature, and it comes standard on the EX trim and above. 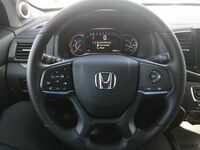 This innovative feature allows passengers to control many of the Honda Pilot features all from their smartphones. With the simple app, passengers can queue up songs, adjust the rear climate control, and even add addresses to the navigation system (if equipped). 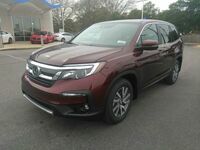 If you would like help finding the right 2019 Pilot trim level for your needs in the Tuscaloosa area, then do not hesitate to reach out to Townsend Honda. You can give us a call, or stop in to see us, but you can also click the link below to request more information directly. We look forward to hearing from you.